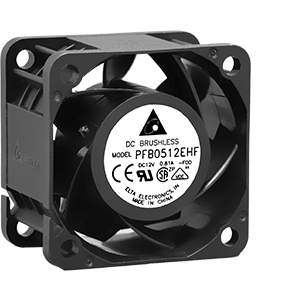 PFB Series fans are powerful DC fans with high air pressure stator blades. This represents a significant advancement from Delta’s renowned FFB Series fans for IT applications. They feature plastic impeller and frame, as well as Delta’s maintenance-free ball bearing system.